Once the dreads have been set (ask your stylist for the approximate time best-suited for your hair type), wash your hair with Knotty Boy dreads-exclusive shampoo. Use Knotty Boy Tightening Gel to tighten dreads. Once the dreads start to fall apart, use Knotty Boy Wax to strengthen and add texture. Once your scalp starts to feel itchy, or you feel like it’s starting to give out some odor, apply Knotty Boy Cooling Spray onto the scalp and massage it in. When your roots begin to grow, apply Knotty Boy Wax and twist it from the roots. After getting the perm, do not wash hair for at least one week. Apply beeswax before washing your hair, then shampoo - this will maintain great looking dreads, especially right after getting them done. 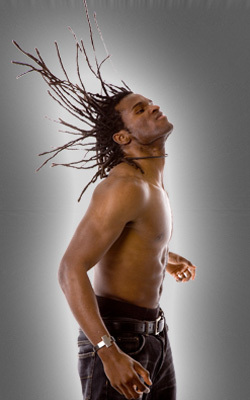 Use Knotty Boy dreads-exclusive shampoo. For the first month, apply beeswax everyday or every other day before washing your hair to maintain your new look. Do not sleep with your hair wet.